Tri-Oval design that has a more distinctive shape than traditional mufflers, The unique design is especially striking from the rear, where the large-diameter carbon fibre end cap and well-integrated, draw-formed, slash-cut outlet can clearly be seen. But there's more to the Tri-oval design than its cutting-edge appearance. 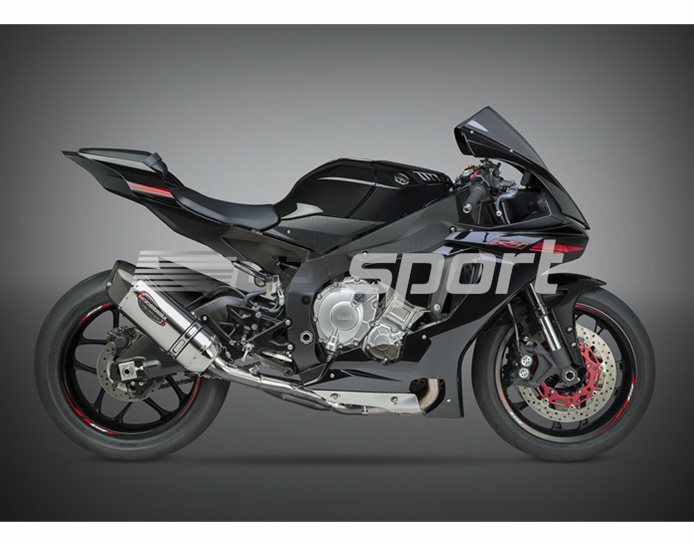 Along with improved lean-angle ground clearance, the new shape allows better use of internal volume to produce the deep, distinct exhaust note Yoshimura is known for. 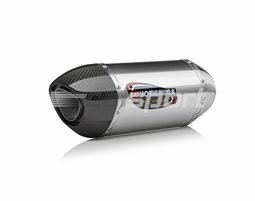 Comparative sound levels at 5,500rpm: OEM 100.0db, Alpha open 107.0db, with optional insert fitted 104.3db.